Investors looking for an economically stable country in the Pacific region might consider the island nation of New Zealand. The advantages for making an investment here include safety, stability, and the proximity to the booming economies of East and Southeast Asia. New Zealand ranks first in the world for protecting investors, lack of corruption, and starting a business. The nation of New Zealand has maintained an internationally competitive economy for decades. The leaders of the country have pursued policies that have facilitated an efficient system for economic development and business expansion. To expedite domestic and foreign investment the country has eliminated almost all import tariffs and government subsidies. 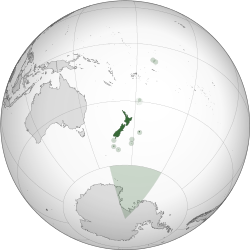 New Zealand has pursued numerous free trade agreements (FTAs) with a plethora of nations around the world. These would include: Australia, Brunei, Cambodia, Chile, China, Hong Kong, Indonesia, Laos, Malaysia, Myanmar, Philippines, Singapore, Thailand, and Vietnam. Negotiations are under way for the countries of Belarus, India, Kazakhstan, Russia and South Korea. The open political system has encouraged an efficient tax code and a minimum of business regulations. Incorporating a business in New Zealand can be done in one day. Registering property can be accomplished in 2 days. The taxation system supports capital accumulation, research and development, as well as foreign investment. The country ranks 3rd in the Ease Of Doing Business Rank. For investors in New Zealand it is important to note that there is no capital gains tax. Corporate tax rates were reduced from 30% to 28% in 2010. In addition, the tax code permits tax deductible business expenses which include research and development as well as depreciation. Labor costs are exceedingly competitive for a first world nation because there is neither a payroll tax or a social security tax. 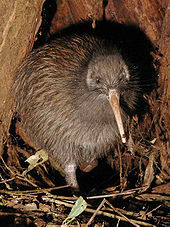 There is only a voluntary program known as the KiwiSaver first introduced in 2007. The country has maintained a strong fiscal position. There is a legislative requirement to maintain public debt at manageable levels. There is already a political consensus in the country to reduce public debt to less than 20% by the early 2020s. 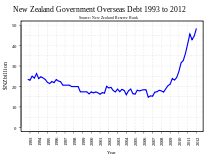 New Zealand is among the top 20 nations rated for sovereign debt. Standard and Poor rates New Zealand AAA domestically and in the T&C Assessment. The foreign rank is AA plus. S&P and Fitch another world credit agency, have a negative outlook on New Zealand, but Moody’s gives it a stable rank. The negative assessments are based on the huge gross external debt that was ranked beyond 125.3% GDP, with a whopping amount above $250 billion USD. The amount of debt and the servicing of it through interest payments, is the biggest challenge the country faces. The public debt in contrast is only about 40% of GDP, and the government is moving decisively to bring it lower. Investors in New Zealand will notice a low rate of inflation. This has been the case for the last 2 decades. There has been a continued focus on price stability by government officials that has widespread support. The inflation target set by monetary authorities is between 1% to 3%. For 2014 the inflation rate so far this year is 1.1%. The country has an independent monetary system with a long standing policy of a floating exchange rate and no exchange controls. There are no restrictions on repatriation of funds. 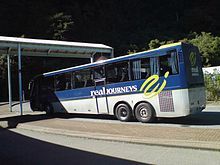 What surprises many investors and travelers when they first arrive in New Zealand is how modern and efficient the transportation and communication system is. Located in mainly urban areas 7 airports across the country are served by most international airlines. Private run, deep water ports are serviced by over 30 regional and global shipping lines. The country also has an extensive rail transport and road system, which allows freight and individuals to move easily across the country. This would include links to the various islands that comprise the country. The telecommunications infrastructure includes an international broadband submarine cable system and competitive onshore mobile networks. The government has initiated a partnership with the private sector to increase the delivery of fibre broadband capacity. 4G networks are operating in all major areas with remote regions due to receive service beginning in 2015. There exists a collaborative system of research and development between the government and the private sector. Science and innovation is an integral part of the official Business Growth Agenda. Immigration policies have also been tailored to cater to investors, entrepreneurs, and business professionals. Someone interested in a business opportunity In New Zealand would not find any trouble in bringing in the necessary skills base if it was not available domestically. However, an investor will find that the population of the country is well educated and many of the citizenry possess skills that are well suited, to a variety of business and investment opportunities. 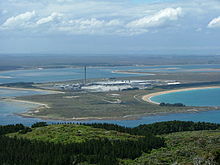 New Zealand has an abundance of arable land and more than sufficient water availability. The country possesses a temperate climate that allows sustainable food production. There is an ample supply of gas and electricity. It is estimated that 75% of all electricity that is generated in New Zealand comes from renewable geothermal, hydro, solar, and wind energy. 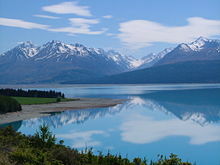 The country of New Zealand comprises two major islands with a number of smaller ones in nearby proximity. The total area of the country is 268,021 km2 which is 103,483 square miles. It ranks as the 75 largest nation in the world. The population is estimated at 4.5 million. Therefore, population density is low with an average of 16.5/km2 (42.7/sq mi) ranked 205th in the world. The nominal Gross Domestic Product (GDP) is estimated at $181.3 USD (United States Dollar). Per capita that would be close to $40,500. GDP in Purchasing Power Parity (PPP) is just over $122 billion USD with a per capita of $30,500. Foreign reserves are in excess of $20 billion USD. GDP growth in 2013 was 2.7%. The GDP by sector is 4.7% in agriculture, industry at 24%, and services at 71.3%. Unemployment at the end of 2013 was still rather high at 8.5%. It has since declined to 6.9% in 2014. The main industries of the country are finance, food processing, machinery and transportation equipment,textiles, tourism and mining. The major export partners of New Zealand include Australia at 21% of the total trade and China at 15%. There are followed by the United States at 9.2% and Japan at 7%. Total trade was estimated to have been near $37.73 billion USD at the end of 2012. The major goods of export consisted of dairy products, fish, meat, machinery, wool and wood products. Imports for the same year totaled $35.65 billion USD. The majority of imports include aircraft, electronics, machinery and equipment, plastics, petroleum, textiles, and vehicles. Major trading partners consist of China at 16.4% of the total followed by Australia at 15.2% and the United States at 9.3%. Japan, Singapore and Germany follow at 6.5%, 4.8% and 4.4% respectively. In the 2014 Index of Economic Freedom New Zealand ranks 5th. The overall rate is 81.2%. This is behind in descending order Hong Kong, Singapore, Australia, Switzerland. The score has increased 3 points since being first graded in the 1996 index. Sectors of the economy to invest in would include aviation, food, bio-processing, beverages, clean technology (particularly energy), and life sciences. One should also consider resource extraction. This includes petroleum as well as a variety of minerals. Resource manufacturing is another important area of the economy especially wood processing, silica for the manufacture of electronic grade and solar grade silicon products, and steel. Additional potential investments can be found in high technology, movie production (especially location filming), tourism, and the health and wellness industry. The country has become well known for spas and other facilities for rejuvenation. A final advantage an investor might consider is the time zone benefit. Business has a head start in New Zealand. The business day for the country includes the afternoon on the west coast of the United States, much of the day for Asia, as well as the morning in Europe.